He's 5-1 since he started. 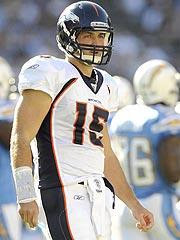 I haven't heard anyone state that Tebow may have developed a different way to play the game successfully. That's my friend Sam's view, however. Sam is a student of Gator football and, naturally, has followed Tebow from the beginning. I think Sam may be right.